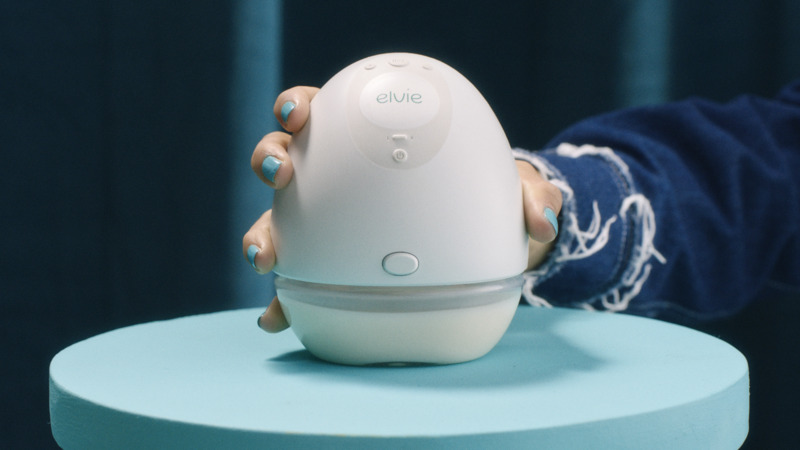 To mark the launch of the world’s first silent wearable breast pump, consumer tech company Elvie are releasing a tongue-in-cheek music video } that showcases the freedom the new pump gives to expressing mums. Created by Mother, the film and social assets will launch online and through social channels in the UK and US. The concept focuses on the insight that, until now, new mothers had to be hooked up to clunky and noisy contraptions to express milk, and kept telling us how they felt “like a cow”. The Elvie Pump however, is completely silent, has no wires or tubes and fits discreetly inside a nursing bra, giving women the freedom to move, hold their babies, and even go out while pumping. In the music video a cast of four mothers dance amongst cows in a highly stylised dairy barn, to a specially commissioned track (Pumping. Unplugged. ), with irreverent and catchy lyrics that touch on some of the realities of using breast pumps. The director and all four dancers are mothers who have experienced first-hand the challenges of expressing and the limitations brought by traditional breast pumps. The collaboration with real mothers was pivotal to the production, as it gives authenticity to the light-hearted approach to a delicate theme. The highly dynamic choreography brings an infectious energy to the video, and leads to the ultimate reveal: that the dancers were wearing the Elvie pump and expressing throughout the whole dance routine, without the viewer noticing. This press release was distributed by ResponseSource Press Release Wire on behalf of Mother London Ltd in the following categories: Media & Marketing, for more information visit https://pressreleasewire.responsesource.com/about.